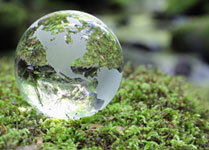 Let us handle all of your environmental law needs. Joel G. Deutch, Attorney at Law has over 20 years of experience in handing mold and lead exposure cases and toxic tort litigation. He also has experience representing small and large companies on their compliance with all local, state and federal environmental regulations and ordinances. Joel is familiar with how the Ohio EPA works and has experience negotiating settlements with the enforcement division of the Ohio EPA.